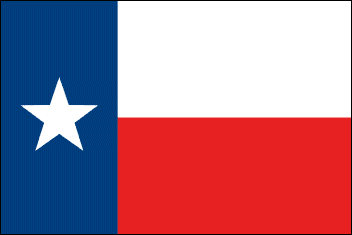 UPDATE (June 17, 2015) – Governor Abbott has signed HB 905 which keeps municipalities and counties from enacting knife laws (statewide knife preemption) effective on September 1, 2015. City laws such as Corpus Christi’s § 33-72 prohibiting carry in public of a “knife having a blade measured from the handle of three inches or longer,” will be effectively repealed. Please note that cities can still regulate possession of knives in schools, on government property or at certain pubic events. UPDATE (May 28, 2015) – 2015 TX Substituted HB 905 passed the Senate last week and is headed to Governor Abbott for signature. UPDATE (May 23, 2015) – The Senate Committee on Criminal Justice reported favorably on passage of HB 905 by a vote of: Yeas 7, Nays 0. Now it is being prepared to be heard by the full Senate. Contact your Texas senators to support HB 905. Find Your Texas State Legislators. Follow links to contact information. UPDATE (May 5, 2015) – HB 905 to eliminate local knife laws has passed the House. It has been assigned to the Senate Committee on Criminal Justice. Time is short with the Texas legislative session scheduled to be adjourned the first of June. Please contact committee members and ask them to vote with a recommendation to the Senate to pass bill to make consistent knife laws 2015 TX Substituted HHB 905throughout the state. UPDATE (April 27, 2015) – Bill is being scheduled for consideration. UPDATE (April 2, 2015) – Wording revisions have been made by the House Committee on Homeland Security and Public Safety. Substituted HB 905. Contact your Texas legislator to support HB 905. Find Your Texas State Legislators. Follow links to contact information. Eliminating a myriad of city laws, particularly in larger municipalities, will make it easier for Texans to know and abide by any state laws regarding knives. See About Statewide Knife Preemption for more information. Read about bill to make bowie knives legal in Texas. Encourage your legislators now to support this pro-knife bill. Find Your Texas State Legislators and get contact information on their individual website page. Texans! Sign up as a Free Grassroots Supporter to receive any email Call to Action alerts.